Dr. Boudreau is recognized worldwide for breakthrough research on the bridge between superior human capital, talent and sustainable competitive advantage. His research has received the Academy of Management’s Organizational Behavior New Concept and Human Resource Scholarly Contribution awards. Dr. Boudreau consults and conducts executive development with companies worldwide that seek to maximize their employees’ effectiveness by quantifying the strategic bottom-line impact of superior people and human capital strategies, including Boeing, Bristol-Myers Squibb, Corning, Citigroup, Dell, Frito-Lay, GE, The Hartford, IBM, JPMorgan Chase, Mattel, Merck, Microsoft, Novartis, Royal Dutch Shell, Sun Microsystems, Unisys, the United Nations, and Williams-Sonoma. He was an architect and the first Visiting Director of Sun Microsystems’ unique Research and Development Laboratory for Human Capital. Dr. Boudreau has published more than 50 books and articles. In addition to HR metrics, his large-scale research studies and highly focused qualitative research have addressed decision-based HR, executive mobility, HR information systems and organizational staffing and development. 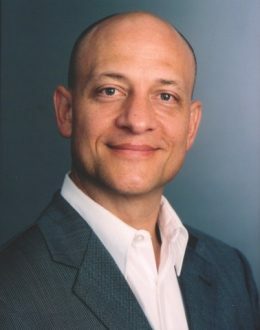 His research findings have been published in Management Science, Academy of Management Executive, Journal of Applied Psychology, Organizational Behavior and Human Decision Processes, Personnel Psychology, Asia-Pacific Human Resource Management, Human Resource Management, Journal of Vocational Behavior, Human Relations, Industrial Relations, Journal of Human Resources Costing and Accounting, and Personnel Administrator. He co-authored a best-selling textbook on human resource management that reached its eight edition and was translated into Chinese, Czech, Spanish and others. Features on his work have appeared in The Wall Street Journal, Fortune, Business Week, Training, and Human Resources Management. The recipient of the General Mills Award for teaching innovations at Cornell University, Dr. Boudreau also founded the Central Europe Human Resource Education Initiative, which links American HR professionals and academic researchers with faculty and students in the Czech and Slovak Republics. A strong proponent of corporate/academic partnerships, Dr. Boudreau has directed the Center for Advanced Human Resource Studies (CAHRS), which partners executives from America’s top corporations with university researchers and students to explore leading-edge HR issues. This Cornell University think tank has generated groundbreaking insights and practical solutions for the human resource challenges that affect most organizations today. Dr. Boudreau is a Fellow of the National Academy of Human Resources. He is a member of the board of advisors the Human Resource Planning Society, and for Brassring.com, a technology information and career portal. He is a Trustee for the Foundation of the National Academy of Human Resources. He chaired the Academic Advisory Board of the California Strategic HR Partnership, a silicon-valley HR executive consortium, and served on the boards of advisors for the Saratoga Institute, a leading global source of human capital benchmarking and performance measures. He has also been elected to the executive committees of the Human Resources Division of the Academy of Management and the Society for Industrial and Organizational Psychology.